ClickSend Help Docs - Can you send a group SMS using ClickSend? 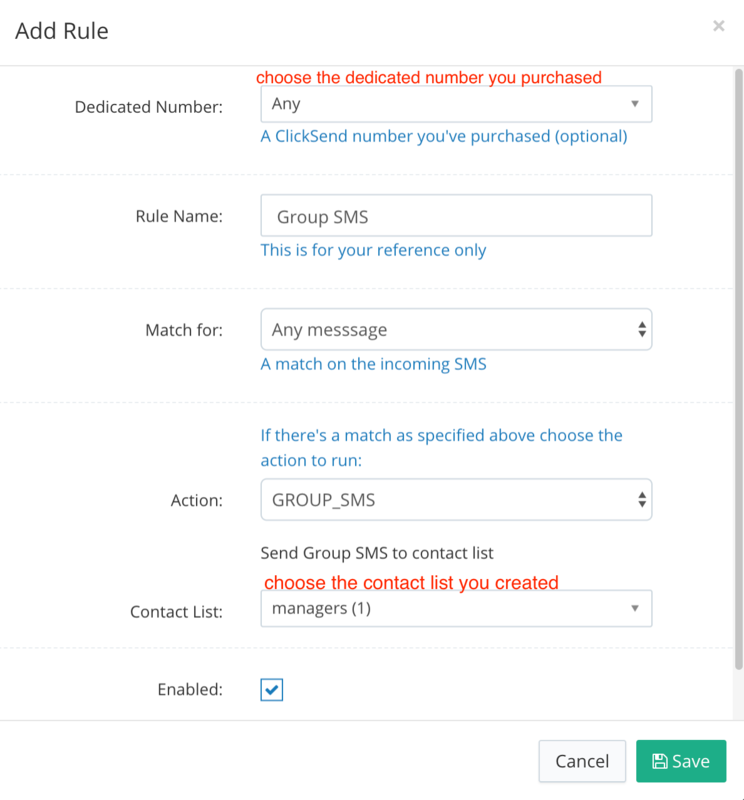 All Categories ​>​ SMS ​>​ Can you send a group SMS using ClickSend? There is a limit of 1000 contacts per group send. If you'd like to send to more contacts, please use the SMS Campaigns area. This option works by sending an SMS to a dedicated number. When the SMS is received, it's sent to all users in the group. Any user can respond to that SMS, which will be sent to all other users.